Tara is a purveyor of all things beautiful. 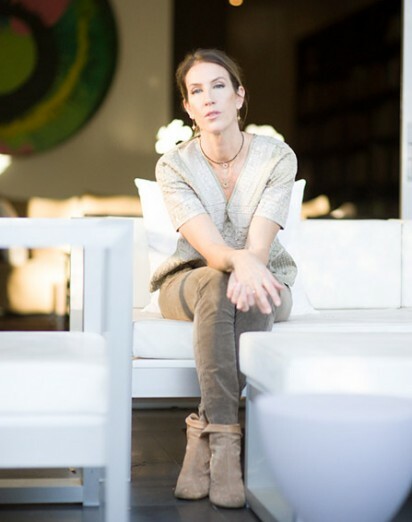 This is apparent from the minute you walk through the door into the house her husband and she built from the ground up, to the art collection exhibited on the walls, and to the exquisite must-have fashions that Tara adorns. But Tara is also a woman of wisdom, creativity, strength, and presence. You see this from the minute she interacts with her two boys and in her tales of meeting her husband at 17 years old, and how he continues to be a daily inspiration in her life. As TMP moves into a month on growth, Tara reflects beautifully on taking the time to feel your life. And if you head over to Style Me Pretty Living, you will see more on how this art of balance and simplicity shines through in all aesthetics of Tara’s life. My husband and I have been together for 24 years. We have two amazing boys, ages 7 and 9. I have a BA in Economics from UCLA, a BA in Art History from UCLA and a Masters in Post War and Contemporary Art from the University of Manchester, England.